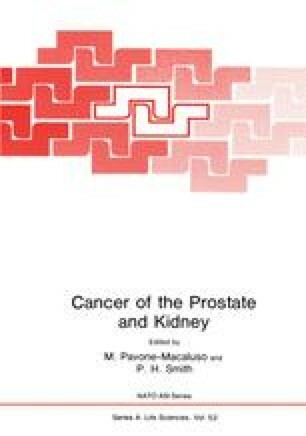 The biochemical similarity between the patient’s normal and his cancerous prostatic tissue is one essential prerequisite for successful hormone manipulation basically directed at the deprivation of androgenic influences upon the prostate. In achieving this goal every therapeutic modality still relies on classical androgen control principles; however, new developments in the field of chemotherapeutic drugs and antihormones are being tested in multicenter phase II and III trials, e.g. under the auspices of the National Prostatic Cancer Project and the EORTC.